Welcome to my lifestyle blog. I'm Lizzie, 30 years old and living in Birmingham in the UK. I am here to hopefully inspire anyone wanting to make healthy changes to their life. 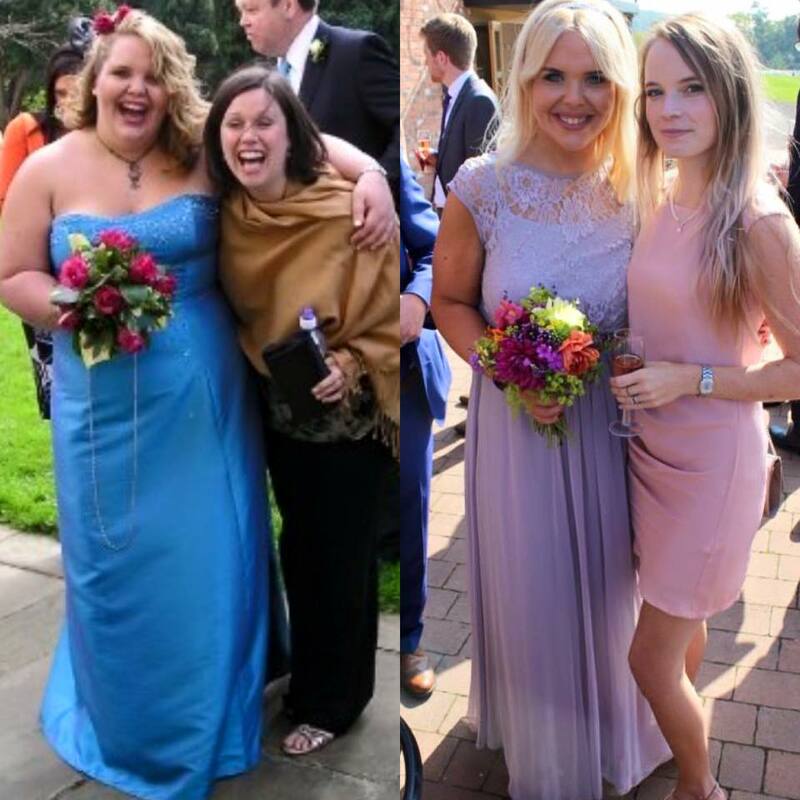 I have lost 8 stone in weight the healthy way... I don't believe in faddy diets or denying yourself from life's treats and indulgencies. I believe it is finding a healthy and balanced lifestyle that works for you. Read on for tales from the gym and the kitchen! I have to admit, I have really struggled to get motivated following an indulgent Christmas and New Year. During that weird week between Christmas and New Year, where you have no idea what day it is, it's nice to stay in your pyjamas and watch films, and eat one too many biscuits with your tea. I think it is good for you to take that break from the world of work and play. However, it's easy to slip out of your usual routine and those bad habits can creep back into your lifestyle, and they can be so hard to break. Don't get me wrong, I enjoyed all the lovely turkey sandwiches and chocolates, but I made sure I kept myself active too. I made sure I went to the gym that week to try and stop me from slipping back to my old ways. I had a lot of fun with my gym friends, going to new classes to keep things interesting. This week I was back to my usual early gym routine - the 6.30am class - and I really struggled to get out of bed. I didn't actually make it out of bed on Monday morning for the 7am spin class. I do have a lot on my mind this week which has stopped me from getting a good sleep. On Friday, I am embarking on a trip that is completely out of my comfort zone and a trip I would never have done back when I was less secure and confident. Myself and three friends are going to India for the Dumball Rally, which will see us and over 100 other crazy people, drive from Chennai to Goa in just 8 days in a fleet of Hindustani Ambassador taxis! It'll be gruelling and will be an eye opening experience but we have already raised nearly £3,000 for Teenage Cancer Trust! I wanted to do something memorable, rather than just lying on a beach for two weeks, to celebrate my 30th birthday. I tend to get very anxious before doing anything new or going anywhere new, and this has definitely been the case this week! 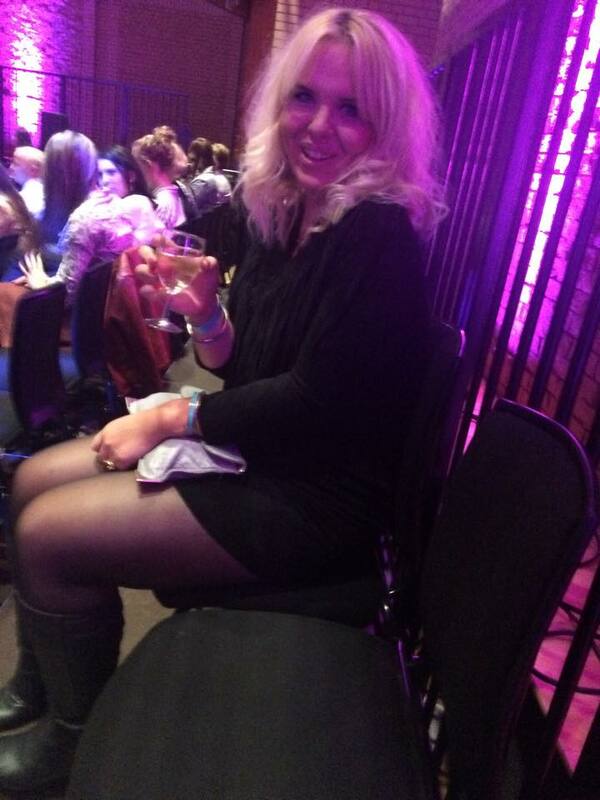 Exercise has helped me feel more level but I have been comforting myself with chocolate and the odd glass of wine. I just hope the change of environment will bring me out of it. Stay tuned for updates from India and wish us luck! There's a hell of a lot of pressure at the start of a New Year to make huge changes in your life in the hope of achieving the 'New Year, New Me' goal. Inevitably, most of us will fail half way through January because of the stupid amount of pressure we've put ourselves under. So after spending a month enjoying ourselves in the lead up to Christmas and New Year we are now going to spend the next month denying ourselves, during the most depressing month of the year. Over the years, I have lost over 8 stone. That didn't happen in a month, 6 months or even a year. It took time, hard work and plenty of will power. There was no magic diet, just adopting the simple 'move more, eat less' philosophy. I now love learning more about the foods we are putting into our body and what foods I should be eating to give me fuel for my lifestyle. I think where many people go wrong is the simple fact of putting too much focus on the food that you shouldn't eat instead of the foods that you can eat. If you're going to suddenly deny your body and mind of little treats, you're only going to want them more. When I want to get back on track with my healthy eating, I move away from the brown foods and bring back some colour. Less of the pastas, breads, pastries, cereals, potatoes and more veg, fruits, pulses and salads. Your plate should resemble a rainbow rather than a muddy puddle. Just remember not to completely deny yourself of any food group, just eat less of them. You will feel better physically and mentally in the long run if you bring a bit of balance into your life. And a little bit of what you fancy doesn't hurt. I will let you into a secret.... I went out with my gym friends for dinner this week and we had a naughty main and a naughty dessert. Lots of burgers and sundaes filled the table along with a glass of wine or two, and we all really enjoyed indulging. None of us felt any guilt just very full! We work hard at the gym so we can have our moments of indulgence and it was a treat... Treats definitely keep you motivated. Just remember not to eat burgers and sundaes every day, and you will be fine! And speaking of the gym, how about we put some focus onto the fun, sporty activities you could take up to get the much-needed endorphins pumping round our bodies during this miserable time of year. Your mind will thank you for it! With the dark nights and an empty bank account, it can be far too easy to slump in front of the TV. Getting into sport doesn't have to be expensive... Get some friends together and go out running and do some boot camp style exercises in the park together - 'Give me 50 squats!' You get the idea... Get your bike out and go for a cycle; go out for a power walk first thing in the morning; and if you do have money to spare, sign up to a gym and join some classes. A healthy lifestyle doesn't have to feel like a prison sentence. The most important thing is to enjoy yourself in the process. Discover what you enjoy doing and have fun - I feel motivated and energised by going to my early morning gym classes, whereas others might prefer an early morning jog or swim instead. Or a lie in! Discover the healthy foods that you enjoy and find some delicious recipes. This time of year we crave comforting dishes such as spaghetti bolognaise... Try this healthy alternative - make spaghetti out of courgettes and a sauce out of turkey mince to cut down on the fat content and processed carbs. Try a baked sweet potato filled with roasted vegetables instead of your usual jacket potato, beans and cheese. If you are struggling, please get in touch for more ideas. "How do you feel about turning 30?" A question I've been asked a few times this month. I actually feel really excited about starting a new decade. After taking control of my life in my late twenties, I feel more confident and positive than ever before. But hey, it's been a long time coming so I don't wish to sound smug over here! I started the last decade feeling very insecure. I was five dress sizes bigger and didn't have much confidence in my abilities. I spent most days feeling utterly self conscious and worrying about what people thought of me. I had kind of given into the fact I was going to the big girl who would probably not the live the life I was supposed to had I been more confident and open to opportunities. Things changed though and I went through many experiences, which I have spoken about in past blogs, that have made me who I am today. And I wouldn't change it for the world. No regrets. 1. Sugar is the enemy and is as bad an addiction as smoking. Cut down on it. 2. If there is someone in your life that makes you feel rubbish, see them less or not at all. 3. Be nice to everyone you meet on the way up. 4. Be open to opportunities that come your way, what is the worst that can happen? 5. Excercise every day, even if it's just a brisk walk. 6. Don't compare your life to others. 10. Don't be scared of the gym, no one is looking at you. 11. Try not to judge someone who's in a situation you've never been in yourself. 12. Find your passion and don't let it slide. 13. Don't worry about what people think of you on the beach, wear that bloody bikini. 14. Don't trust men who look at your lips one too many times when they're talking to you. 15. Always, always listen to your gut instinct. 14. Cook from scratch as much as possible and always read the label. 15. Don't be scared to say no. 16. Don't be scared to say yes. 17. Watch Star Wars, they're actually really good films. 18. Eat less bread and pasta. 20. Don't use food as your comfort blanket. 21 Try something new that scares you more often. 22. Go to Paris as much as possible. 23. Everyone has their own insecurities, don't assume you're the only one. 24. Cleanse, tone and moisturise every day, twice a day. 25. Put extra sun screen on your forehead when subathing. 26. Tell friends and family you love them more, you never know what will happen tomorrow. 27. Loneliness is one of the worst feelings so learn to love your own company. 28. Look after your mental health as much as your physical health. 30. Do what makes you happy. What are your life lessons? I would love to hear them! I have been on a quest for some time now to cut down on my sugar intake. As we know, sugar is the enemy, and I believe the weight I gained when I was a young girl was mainly down to my sugar addiction. So now I lead a relatively healthy life - going to the gym four times a week and eating well the majority of the time (we all need a cheat day) - I've also been thinking about the quality of the ingredients I eat and what goes into the food I freely put into my body. My good friend Susan owns a wonderful shop Natural Healthy Food in Digbeth and she has educated me in the art of cutting out sugar and ridding of all the horrible toxins that come with a poor diet. I'm a total chocoholic and this has been an issue for me when trying to cut down on sugar. However, in walks Susan and her delicious raw chocolate produce she knows I will just love. I have just sampled this raw chocolate tart by Inspiral, and I have to say it's the most luxurious mousse made out of raw cacao and avocado with a wonderful crumb on the bottom made out of pecans, walnuts and dates with a splash of Himalayan salt for good measure. There is no sugar involved, just raw cacao and agave nectar syrup... A natural sweetener. 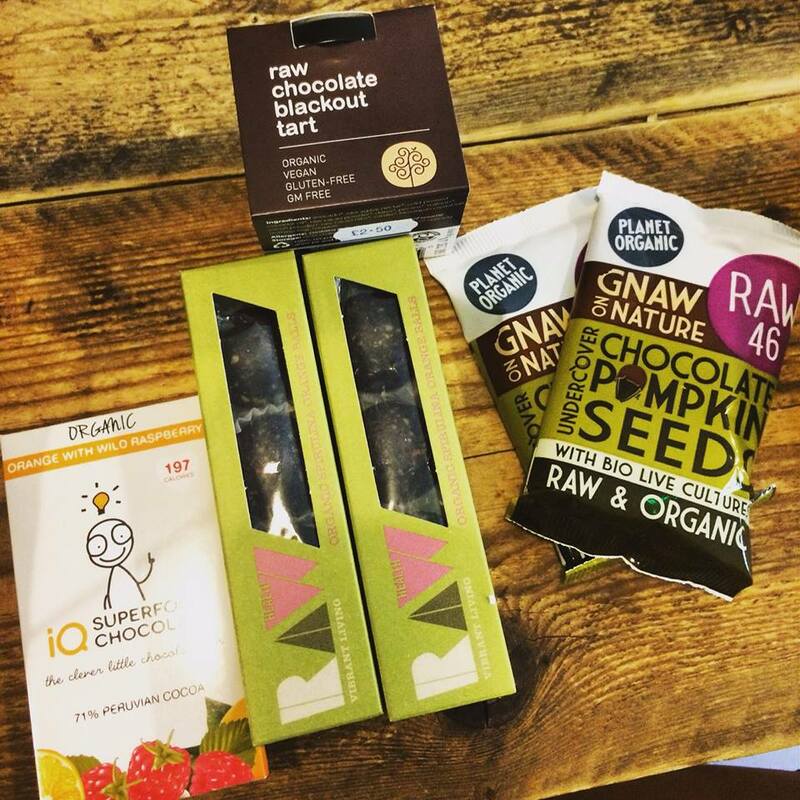 You may think raw chocolate sounds revolting but once you get a taste for it you won't go back, you just need to find your match! 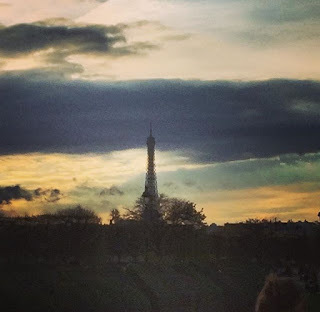 This time last week I was in Paris. A city I love the most and a city where I have spent the happiest hours of my life. My best friend has called the city his home for four years now and I can see why. The city is not only aesthetically pleasing (what an understatement), with the cobbled streets of Montmarte, the elegant bridges joining the islands on the Seine and the landmarks of architecture that still make me gasp each time I see them as if it was the first time. 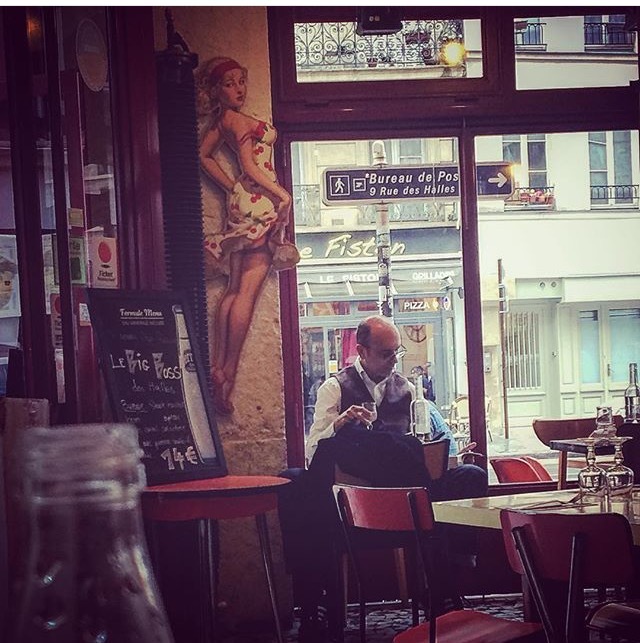 No, Paris is so much more than the 'romantic' reputation it bestows. And it's the city's residents, who have a zest for life and for all the city offers, that makes the city my favourite place to be. When I visit, which I am very lucky to do a couple times a year with a best friend living there, I feel so alive. No other city or place has made me feel as alive or welcome. You know when you start to feel down with your day to day life? Like when you feel like you do nothing but work and sleep? 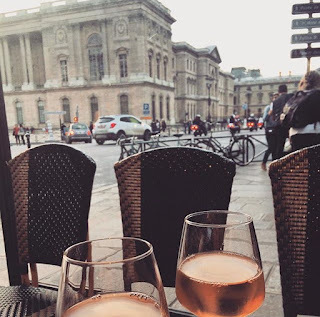 Well, the Parisians have conquered the work/life balance and just a few days in the city will put everything into perspective for you. I normally arrive in Paris late on a Friday night and the city is brimming with activity, even in November. Cafés and restaurants are filled with friends catching up over a late delicious dinner, sharing a cigarette and enjoying the relief that the working week is over. Parties will be planned for the weekend - there is definitely no Netflix and chill in this city. 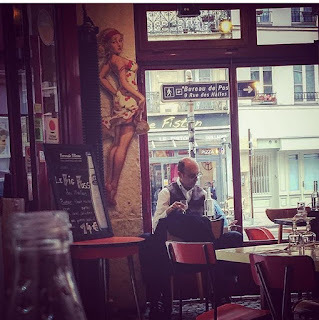 I have struggled with my self confidence over the years so with the reputation of Parisians being 'snooty' you would think it would be an intimidating place for me to be. The city has only built up my confidence. My best friend has formed friendships with many lovely people who I think I can now call friends of my own. They are always so warm, loving and genuinely pleased to see me back in the city. I feel happy that I can leave my best friend in the city surrounded by a fun and fabulous network of people. I think the 'snooty' reputation has only been formed due to the fact that the French have the inner confidence we yearn for. The way they carry themselves in a confident manner, as if they have rolled out of their lover's bed, straightened their hair, splashed some water on their face and got on with their day. We Brits could learn a thing or two from them. They also know what they want. If they fancy you, they will tell you. There are no games being played... They are direct and I love them for that. There is no worry that they will be turned down and if they are? So what? Life is too short after all. Any man I have met in Paris tells me if I am only here for the weekend, what is the point in sleeping? I like that mentality. There is always a party to be had! The best party in Paris is at Rosa Bonheur, a little cafe and bar in the most beautiful park called Buttes Chaumont. It takes place on a Sunday night, when most of us would be curled up on the sofa waiting for the working week to begin. Instead the Parisians are out in force, dancing the night away and drinking beer together like tomorrow will never come. Life is for living after all, and this sentiment has never been felt stronger than when I am at Rosa. When I turned on the news on Friday night, I instantly thought of all the young people out on a typically bustling Friday night in Paris. I thought of my friends who may not be safe. I thought of that zest for life that had been extinguished from so many in one bullet or blast. They were defenceless and their future taken from then in seconds. Museums, schools, markets all now closed. The freedom we take for granted, gone. I understand that people's lives are being taken across the world each day in similar circumstances and these should be as acknowledged as Paris. I can't relate to those places as much as I do with Paris and I think this is why people have reacted more passionately. It's not because we don't care less for those lives lost in places further afield. This time it was too close to home and an attack on places we freely enjoy. I have had the numerous 'what if's' whirling round my mind. What if I had been visiting a week later, it could have been me? What if my best friend not had been out of town that day? It could have been him. It was a reality for so many people, and their family and friends, and I think of them and I feel so much sadness. Life is for living so don't hold back. Let's adopt that zest for life from our Parisian brothers and sisters, in respect to the many lives taken. It's been one of those roller coaster weeks of emotions, for various reasons. Normally if I have a particularly stressful/bad/sad week, I have a tendency to get anxious and feel like a black cloud is hanging over me. Since I started going to the gym, these weeks are now few, however, this past week has been a tough one. All week I've been getting up, going to the gym and going to work so I haven't had much time to think. Today was my first day in a long time where I had absolutely no plans. I woke up feeling very low and pretty tearful, and that black cloud was very present. I got up but went back to bed and tried to sleep. I felt even more grey so I decided to get out of my pity pit and put on my gym wear. Instead of wallowing in the thoughts in my head, I charged the wasted energy into a workout. I can't tell you how much better I feel from just an hour in the gym, getting my heart pumping and my skin sweaty. I've spoken before about exercise being a mood lifter but this is the strongest elevation I've felt. I feel more level and myself again. It was nice to see familiar faces too... What I love about my gym the most is the friendliness of the staff and people there. I had a particularly great session at the 6.30am class on Thursday where we did circuit training. I knew a few of the lovely people who go to the class each morning and everyone made me feel so welcome. I admit I felt nervous beforehand, mainly due to the thought that I wouldn't be able to keep up with the uber fit early birders! The circuits were tough but we got through it together, and people took breathers when it got really tough. I surprised myself with how far I could push myself. My mood was very much lifted as I left feeling strong and rejuvenated. I truly believe the gym and gym goers have kept me sane this week. Last night, we all went out to say goodbye to my wonderful trainer, Anna, who has helped me so much. She is sadly moving to another gym but us loyal followers are going to do road trips to her new gym to attend her classes and continue having our 1-2-1's. We had a really good giggle and it was nice to see each other out of the gym and out of our sweaty work out gear! We are all different ages and do different jobs, but we have one thing in common, a love of staying happy and healthy through exercise. It's so important to have an outlet from your working life to ensure you don't get wrapped up in the stresses that come with everyday life. Whether it be playing the piano, learning a new language, reading great novels, or going to the gym! I've been going to the gym for nearly a year now and I'm glad to say I haven't lost the motivation or interest, I've only gotten more addicted to the power of the endorphins and seeing the changes I'm making to my body and general health. In all honesty, I didn't think my will power was as strong as it appears to be. Will power is what makes me drag myself out of my bed and get to the gym 3 mornings a week. I prefer going to the gym at the crack of dawn. Call me mad, but it starts my day off so positively and gets my metabolism going. I sometimes will go after work or later in the morning at the weekend but generally I'm definitely a morning girl! I have my days where I really 'can't be bothered'. Like this morning - my alarm went off at 6am, it was pitch black, I heard the rain tapping on my window, the wind rushing through the trees, and I just wanted to roll over and go back to sleep. But I didn't, I had a glass of water and splashed my face because I knew I would only be lying in bed for one more hour begrudging myself that I didn't go to the gym and would instead have to go after work when I'm tired and drained. I would start the day on a less positive note, that's for sure. When you start going to the gym on a regular basis, at the same time each day, you start to get to know people. It's that community spirit that human beings need, and you can find it anywhere, whether it be in the workplace or your neighbourhood, or the gym! I love my gym for the fact that people of all ages, sizes and backgrounds, come together to keep healthy and spend time doing something so positive for themselves. It helps to keep you motivated too. You can be inspired by what the ultra fit lady is doing next to you with the kettle bells or stay focused together in a class. If the person next to you is continuing to lift those weights, it will spur you on to do the same. This past month I have really seen a difference in my body. My arms are becoming more sculpted, my bum is firmer and my tummy is even getting more toned! I also have seen a difference in my health. I would always get ill with my asthma and have horrendous sore throats and coughs when the colder months kicked in. This year I have had one cold. That's it! And even when the dreaded time of the month looms and you're feeling agonised by cramps, just get on the cross trainer, they soon disappear. The gym may not be for everyone but it really has turned my life around for the better, and the more I feel the benefits of keeping fit, the more I want to push myself. I've even signed up for a Body Combat Circuit training class (I think that's what they call it?!) first thing tomorrow morning.... Wish me luck! Welcome to my blog, which is all about leading a healthier and happier lifestyle. I'm Lizzie, far too close to 30 and living in Birmingham. 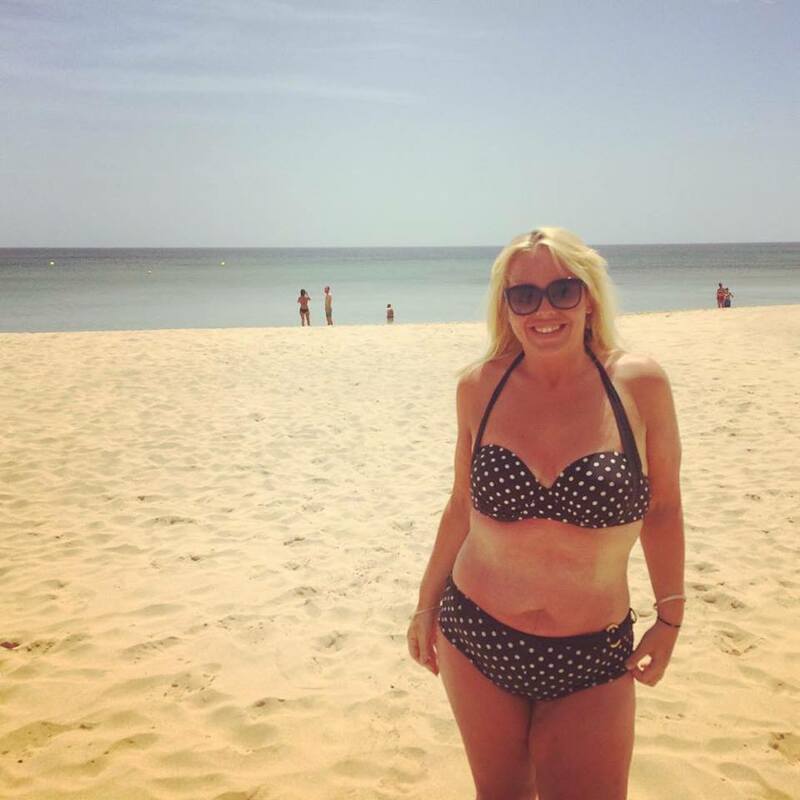 I have recently lost 6 stone by adopting a new lifestyle - not a diet - and here on my blog I give honest details of how I have done this through exercise and eating well. It's all about 80/20 for a me! I am also a fashion and style obsessed girl who has an addiction to finding beautiful vintage dresses. I graduated in Journalism and now work in Marketing and PR but work on a freelance basis too. Please get in touch for more information.